Fortress Distribution explains how mechanics’ gloves make for the perfect add- on sale, particularly when a wide range of different gloves – suitable for different tasks – are available. Mechanics’ gloves are designed togive protection from the chemicals, fluids and mechanical hazards that are found in automotive workshops. They give users the dexterity to accomplish precise work, whilst maintaining a good grip. There are many glove types available to mechanics, each suited to a particular task, or set of tasks. This variety gives motor factors the opportunity – when selling parts – to make add-on sales, using gloves specific to installing those parts. Black Mamba gloves and Torque Grip gloves are both powder free, industrial strength, nitrile disposable gloves, made from a patented Nitrex polymer. Both gloves are over 6 mils thick, giving them more strength, tear and chemical resistance than standard nitrile gloves, whilst maintaining a good level of dexterity. The Torque Grip gloves benefit from a raised pattern over the entire hand area, optimising surface performance and allowing solid grip at all times. Both gloves are available in boxes of 100. In addition, the Torque gloves are available m handy ten-glove retail bags, supplied in POS ready packaging; perfect for an add- on sale. Both the Black Mamba and Torque Grip gloves are perfect for oil and coolant changes, as well as air con servicing and re-gas. They are also useful for keeping hands clean and protected whilst handling grease, packing wheel bearings and are even tough enough for tyre changes. The ProBlu Mamba is a heavy duty professional latex glove 14 mils thick and 12” in length – for extra protection. This textured grip glove is ideal for secure handling in a paint shop. Being latex, it gives excellent protection against methyl ethyl ketone (MEK), which is often found in automotive paints, lacquers and thinners. Impact Protection IPT series, heavy duty work gloves are made with a polyester lining and synthetic leather palms, with thermal plastic rubber (TPR) protection where it matters the most. The glove has an adjustable velcro closure and is available in high visibility yellow colour. When working under the bonnet, this glove is great for protecting hands from bruising, cuts and burns. 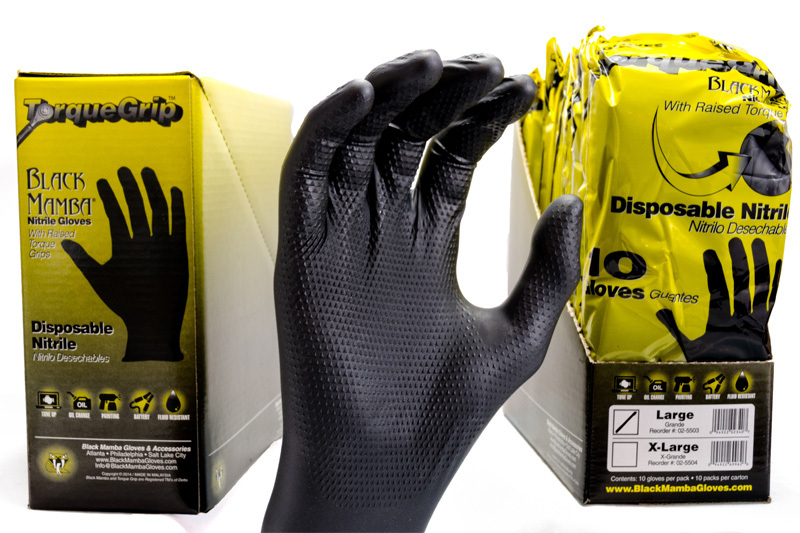 As the glove gives great back of hand protection, it is ideal for fitting exhausts, carrying out MOT inspections or in vehicle recovery situations. The Mamba Mechanics glove comes with a form-fitting DryWorx back, as well as vented fingers, which help keep hands cool and comfortable. A double-stitched reinforced index finger construction adds increased durability. A seamless synthetic leather palm provides optimal dexterity, whilst a flexible Thermal Plastic Rubber (TPR) closure provides a secure fit to the wrist, with industrial grade hook and loop for speedy removal. This glove has many uses, including engine swaps, mechanical teardowns and general under the bonnet work. 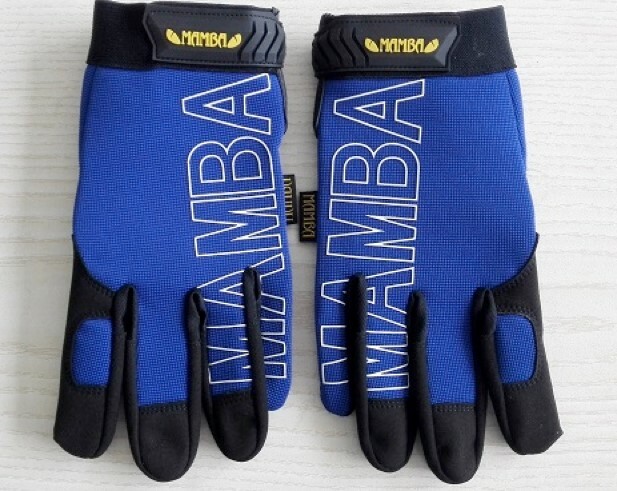 The Mamba mechanics gloves are also resistant to most chemicals.